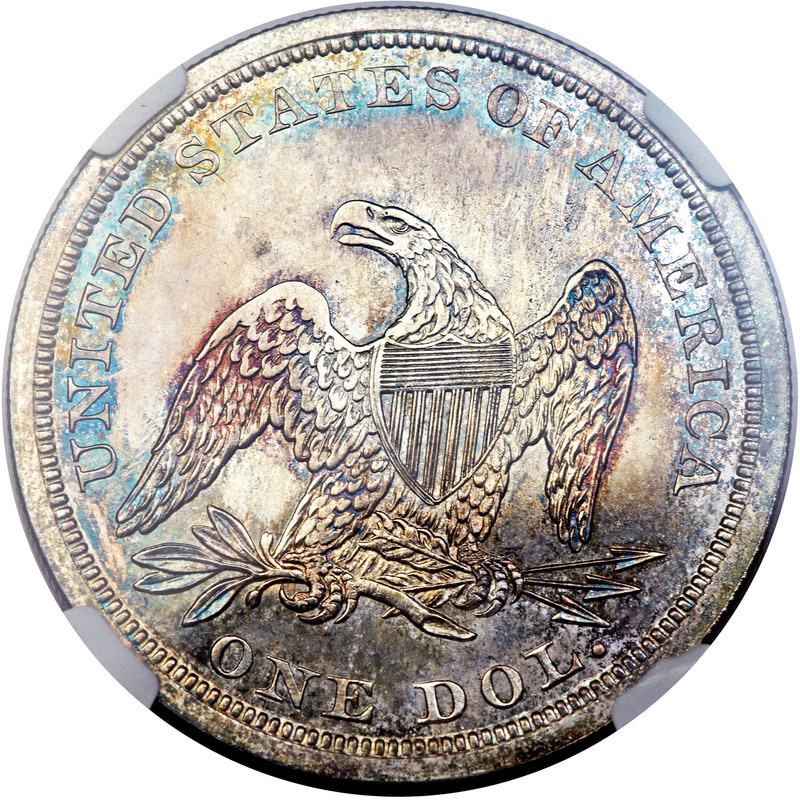 1842 proofs are more frequently seen than the previous year?s proof dollars, and are only marginally more available than the 1840 date. 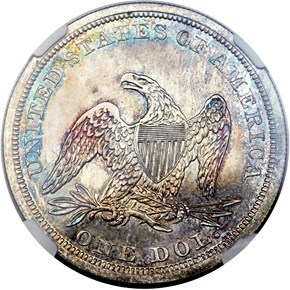 Numismatists vary somewhat, however, in their estimates of surviving 1842 proof dollars. 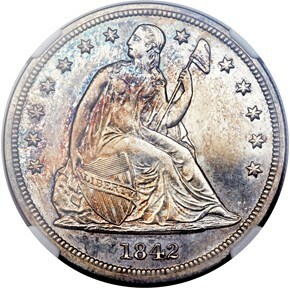 David Akers, for example, suggests a population of 10 to 12 coins in the Pittman catalog, David Bowers, in his 2006 A Buyer?s Guide to Silver Dollars & Trade Dollars of the United States, estimates seven to 14 specimens, and Weimar White, in his 1985 Liberty Seated Dollar reference, suggests fewer than 10 extant pieces. 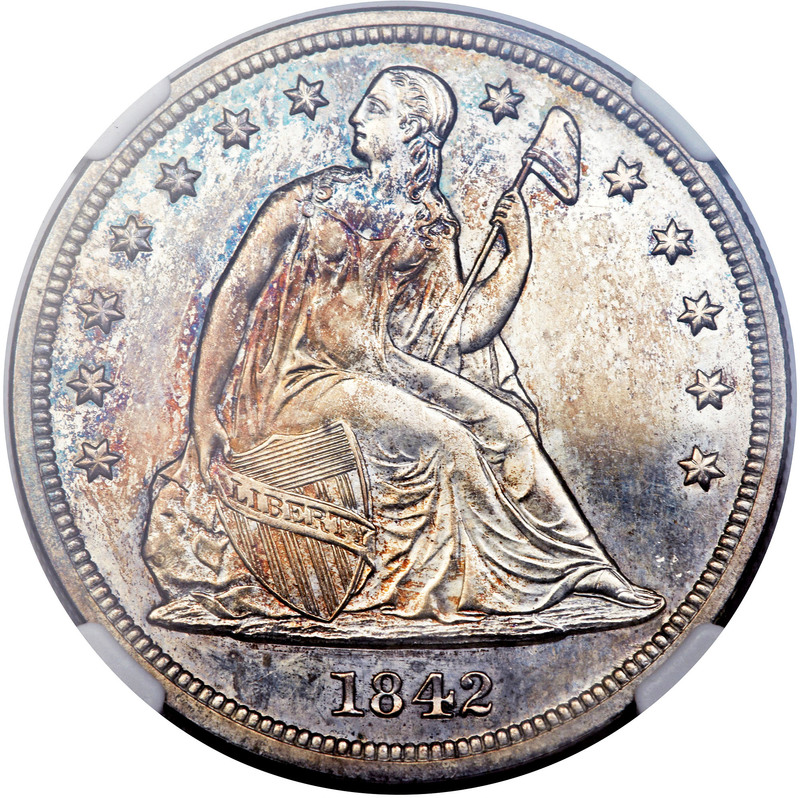 1/1/2007 — David Lange continues his in-depth retrospective of 1842 coinage. 12/1/2006 — 1842 was a distinctive transition year for U.S. coin denominations, as David Lange demonstrates in the following retrospective.